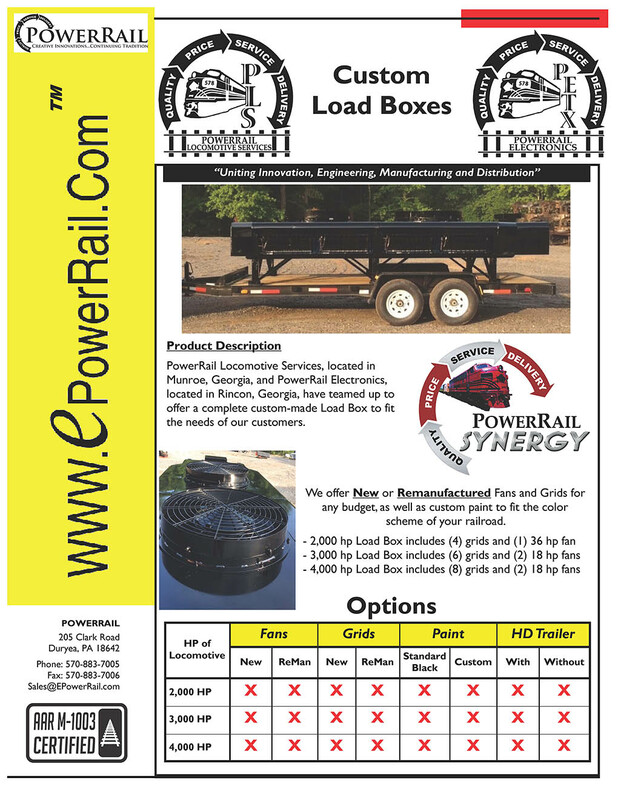 PowerRail, an M-1003 Quality Company offers a complete line of Load Boxes. These Load Boxes are manufactured in our PowerRail Locomotive Services facility outside Atlanta Georgia. We offer New, Remanned with or without trailer. PowerRail, an M-1003 Quality Company offers a complete line of New and Re-Manufactured Load Boxes which can be built to any customer requirements. We can use New or Re-Manufactured grids, with or without a trailer. We currently don’t have any parts in our web catalog for the selected category, but we most likely do carry the parts that you are looking for. Please contact us to discuss your specific needs - we are always happy to help!